We understand the concerns of having toilet cubicles installed during business hours. Often, this is simply unrealistic due to the impracticality of the situation. As a result, we happily provide after-hour installations. This includes the performance of installations before and after work, and on weekends. The Kirkbuild team are serious about deadlines. We arrive on time, work hard and complete the job in a timely manner, without compromising on quality. This organised and determined approach ensures we achieve the same exceptional results every time. 100% Australian-designed and manufactured, Kirkbuild Commercial Joinery are as stylish, beautiful and visually unique as they are durable. 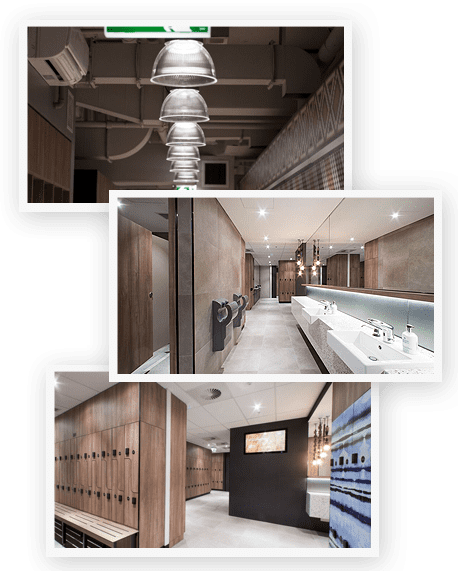 Partnered with leading brands and Australia’s top designers, we are considered commercial bathroom trend setters due to our stunning system installations. Multiple options mean greater flexibility, and that’s exactly what we provide here at Kirkbuild Commercial Joinery. Choose either Pro Install or our DIY Flat Packs and experience greater control over your budget and deadlines. Need time to budget and plan your project? You’ve got it. Simply contact our team for a fast, free quote on the system you’re interested in. We’ll get back to you ASAP.